Marabou Midstream Services, LP – MMS is a privately held energy company formed in 2004. The company had its beginnings in 1993 as Marabou Energy, Inc., a natural gas gathering company with midstream assets in Louisiana, Texas and Oklahoma. 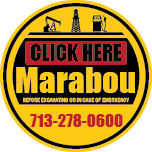 MMS is now supported by sister companies Marabou Energy Management, LLC and Marabou Superior Pipeline, LLC. MMS and our sister company Marabou Superior Pipeline are qualified operators of oil and gas gathering pipeline systems now under the jurisdiction state regulatory agencies inclusive of compliance obligations, reporting and pipeline integrity certification. Including but not limited to Texas, Louisiana, New Mexico, Oklahoma and Wisconsin. Marabou is owned and managed by an experienced group of midstream energy executives that provide industry leading producer and midstream services to our independent oil and gas producer “Partners”. MMS’ objective is to provide the midstream solution unique to your situation. You do what you do best – find oil and gas – and we take it from there: design, construction and optimization of your midstream infrastructure; marketing, hedging and risk management solutions for your crude oil, natural gas and liquids production; joint interest allocations, working interest and royalty distributions and regulatory reporting. MMS is the equivalent of your internal midstream design, installation, implementation and operations groups without the associated overhead. Through our ever evolving network of producer relationships, geographic market coverage, LDC (utility) wholesale supply, and commercial, industrial and end-user market relationships, Marabou will ensure that you maximize the value of your assets to get you closer to market!